If you need your sash or wooden windows repaired and painted contact GS Decorating now. GS Decorating repair and paint sash windows on both private and commercial premises across London and the home counties. This post explains step by step how to paint sash windows. Sash windows are a prominent feature of any period property and if you own a home that still has the original windows in place, and not those ghastly PVC replacements, then this post on ‘how to paint sash windows’ is for you. Painting sash windows not only makes them shine like new again, but it also helps with your properties on-going maintenance, ensuring the wood does not breakdown and rot away, until the only option is to replace them all. Replacing all the windows on your property can be extremely expensive and not something you want to do unless you either want to, or have to. You may be surprised but many sash windows that may seem unrepairable, are in fact easily repairable, if you now how. For step by step instructions on how to paint sash windows please scroll down to the bottom of this page. If you look at the photos below, these sash windows on a commercial premises in central London were in a terrible state of repair, however with the correct knowledge and skills, they are repaired and painted to good solid condition, for a fraction of the cost of replacing them. As high quality painters and decorators in London, we often repair sash window on private home and commercial premises. With proper care and attention, you can repair sash windows to looking like new, if you know what you are doing. Or just employ a professional company to undertake the work. Some sash windows need more than just a redecoration, you may need to ease and adjust the window into the frame, so it fits and opens properly, perhaps replace the window cord, or even adjust the window weights to balance properly. If so, and you are not sure what you are doing, it’s best to call in a specialist company to survey them and give you advise. If you live in London and your sash windows are in need or repairs, please contact us now to see if we can help. The first step is to scrap out all the rotten wood, loose putty and sand back the paint off the wood, to a clean smooth surface. We recommend that you purchase yourself a good scraping tool from your local decorators merchants. The aim in this step is to remove all the broken down wood from your sash window, leaving you with only good solid wood to work with. 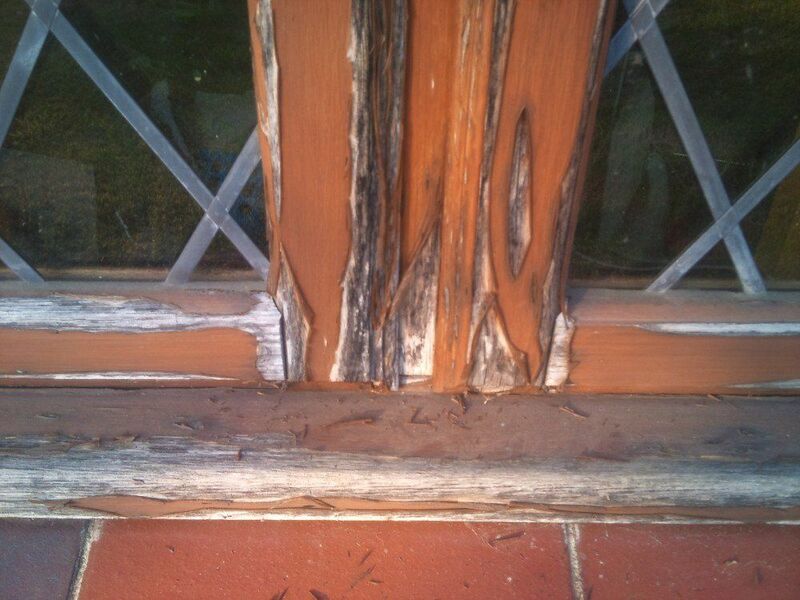 The second step is to refill the areas of rotten wood, broken down putty and build back-up the surface areas. 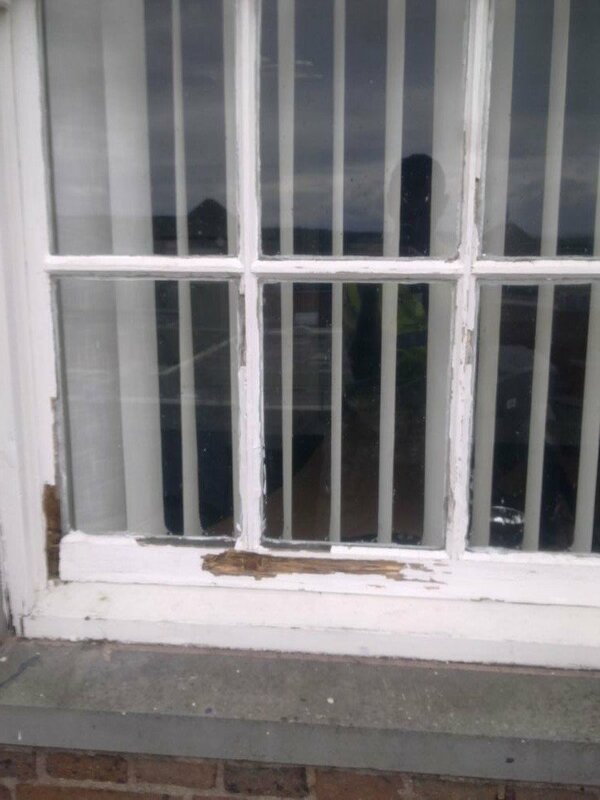 There are a few variables in this step, as dependant on the condition of your sash window, you may need to undertake a different type of repair. 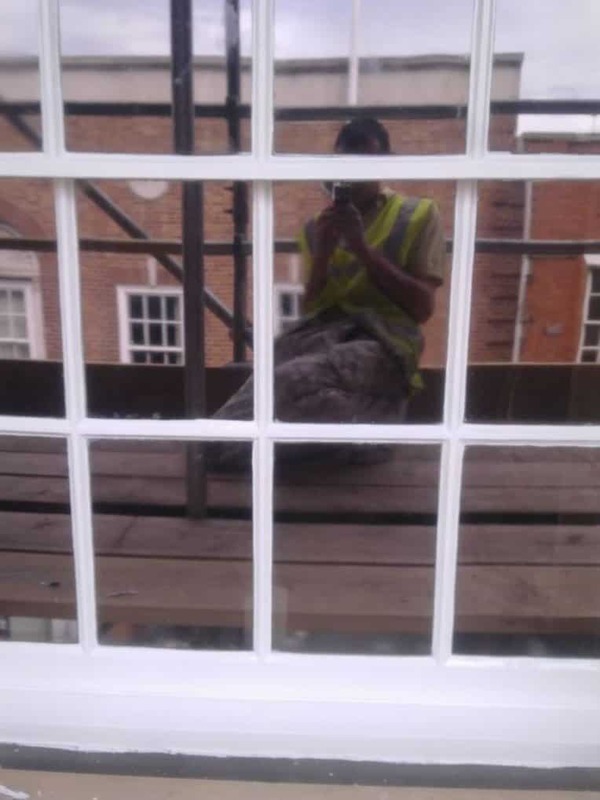 Splicing – Splicing a sash window means that, when the area of rotten wood is to large just to plug with a filler, we would cut out the section and replace with a new section of hard wood, before filling the edges to make the join invisible. Two-part Epoxy Fillers – two-part wood filler works like magic. It’s as the name suggests, a filler that is in two parts. When mixed together it turns to a rock solid finish. A skilful decorator would then be able to shape and mould the filler to the contours of sash window (like the pictures above). Leaving a seamless, invisible join. 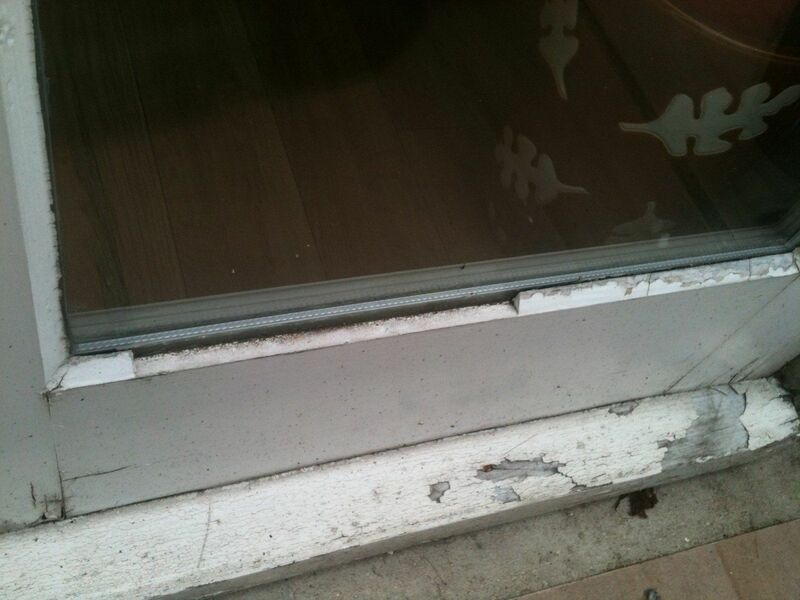 Replace the putty – The putty around the window seal may need replacing. You can buy a good quality putty from most decorating stores. Traditionally GS Decorating would have said, first prime all the bare wood with a good quality primer, apply two coats of undercoat, and then one of two top finishing coats of a gloss or satin. However, now days we have moved on and here at GSDecorating we preach the use of Bedec Barn Paint. Check out our review of the product here. Bedec Barn paint is an amazing product for painting sash windows. It’s a water based paint that takes away the need for using different primers, undercoat and glosses. It’s an all-in-one paint that does the job amazingly. This jus due to using the same product for each coat, no stress is built up and it leave a great satin, flat finish to your window. You can buy Bedec from most Dulux Decorating stores and it works out a lot cheaper than the traditional applications. 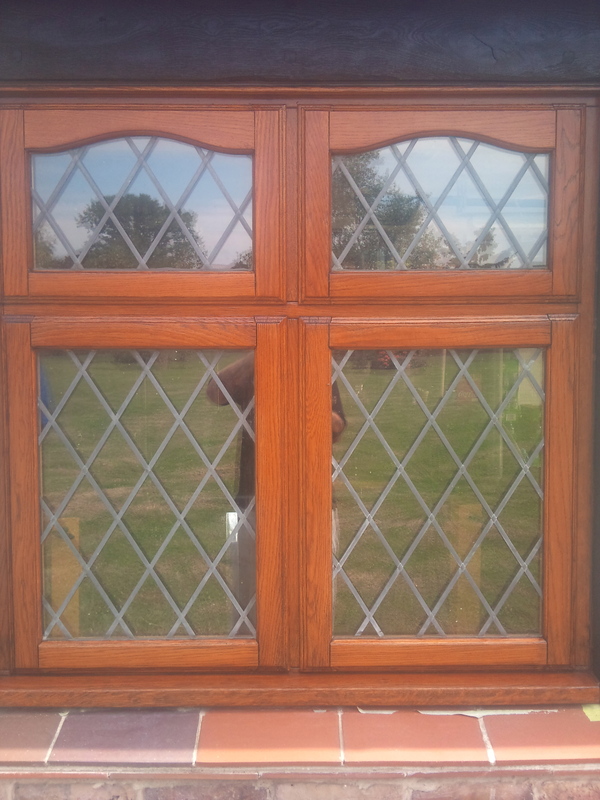 If your sash or wooden window or patio doors are in need of repair contact us now to see if we can help. Fill in the form below and we will get straight back in touch with you.